It’s time to wave goodbye to the Premier League for another year. That’s it wave. Wave harder, it’s the Premier League – the greatest show on Earth. Or something like that, anyway. Heading into the final ten matches, played on Sunday as tradition tells us must be the case, there wasn’t a lot to keep us engaged to be perfectly honest. Liverpool would slip out of the Champions League places if they lost to Brighton at Anfield and Chelsea won at Newcastle. Swansea City would only stay up if there was a ten-goal swing with them beating Stoke City and, presumably, Southampton collapsing against Manchester City. It had been mentioned in passing that it was Arsene Wenger’s final game in charge of Arsenal as well, but you might have missed that. 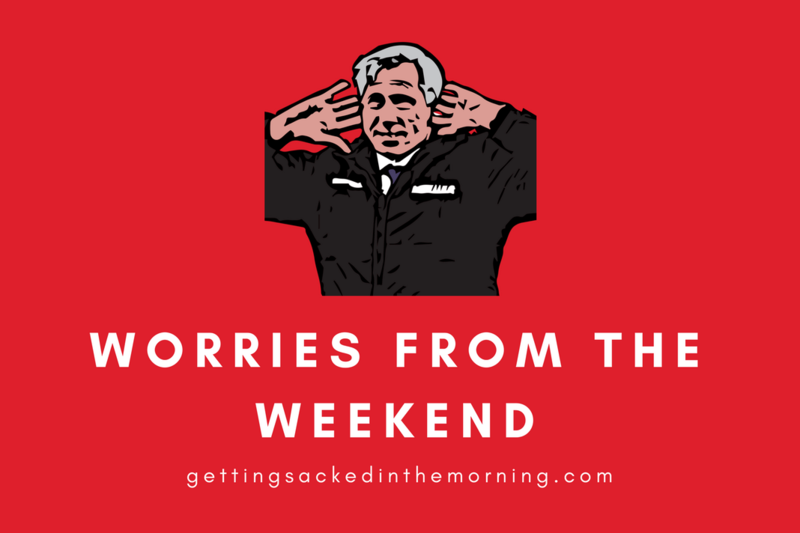 With Gareth Southgate planning to name his final 23-man squad for Russia on Wednesday, there was a little World Cup narrative underlying the whole thing – mainly the hope that nobody half decent did the typical English thing and picked up an injury. So Gareth was probably hoping that his two main strikers might have a quiet day at Wembley. Harry Kane was hoping that he might catch Mo Salah so the fact that Tottenham were able to score 5 gave him hope. He won’t care that they also let in 4, including two for his main rival for the starting spot in Russia, Jamie Vardy. Spurs started their tenancy struggling at Wembley and they certainly ended it struggling at Wembley. The biggest surprise is that Harry isn’t expected to appeal to the FA to try and claim Lamela’s hat-trick. Before kick-off, Antonio Conte had flicked to page seven of the ‘excuses manual’ left over from Jose’s time at the Bridge. He blamed the departure of Michael Emenalo for not being able to have a squad capable of competing because, after all, Emenalo was the man who sorted out all the transfers. Antonio, really? Emenalo signed off on Danny Drinkwater, Ross Barkley and David Luiz twice! He’s not exactly a transfer genius, is he? Talking of Ross Barkley, Chelsea really should have retired the number 8 shirt after Frank Lampard retired if that is the quality of performance you get from it now. It wasn’t just Barkley, though. Chelsea were dire, a team that showed no interest in trying to put pressure on Liverpool at Anfield. Conte should be sacked before the FA Cup Final and they should bring JT back to do the team talk. Newcastle United strolled to a 3-0 win and Newcastle have been on holiday for the last three weeks. That’s how bad it was. Jurgen Klopp assured everyone he has not started thinking about Real Madrid and warned his players “not to fall flat on their faces” against Brighton. I think he meant that they should do everything they can to avoid defeat and he wasn’t having another dig at Mo’s dive against Chelsea. Once again, it was Mo Salah who Liverpool turned to, to calm their nerves. Who needs two blatant penalties when they have the little Egyptian, right? Salah’s 32nd broke Alan Shearer’s record over a 38 game Premier League season. Mo has also scored against 17 different Premier League opponents this season, something that has never happened before. Something else that has never happened before is Dominic Solanke actually scoring a goal and that record got crossed off as well in a 4-0 win. Swansea City needed a ten-goal swing to stay up instead of Southampton so when they went ahead you could feel their fans hoping Manchester City might put nine past the Saints. Sadly for Swansea, the only way things could feel worse is if they lost to one of the worst sides the Premier League has ever seen. And yes, they managed it. Peter Crouch’s (headed, obviously) goal was the 1000th goal in the league in this season. Bye bye, Carlos. It has been fun. The fact that it took 32 minutes for Sky Sports to issue their first “let’s go over to Old Trafford” tells you the quality of food on the menu in Manchester. Two minutes later, Marcus Rashford scored the one and only goal meaning Jose Mourinho can enjoy his summer, knowing he signed off with three points and a clean sheet. What, we have to watch him and Conte (maybe) painfully put us through an FA Cup Final? Rui Faria has worked for Jose for 17 years and is leaving in the summer. Having watched that 1-0 win over Watford, you can understand why. You might have heard the rumours that it was Arsene Wenger’s last match as Arsenal manager. They headed off to Huddersfield Town hopeful of picking up their first away league point of 2018. Plane banner companies were more concerned, however. 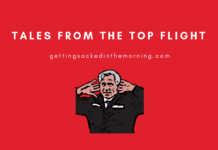 Wenger finally calling it a day is going to put several of them out of business as yet another two flew over Huddersfield’s ground sending out some kind of message. Huddersfield fans went in first, reminding the travelling Arsenal support that at least some of them had spent the last few years wanting #wengerout and that the non-stop love heading in his direction was somewhat hypocritical. Arsenal fans responded in true 1930s style, reminding Huddersfield fans that their greatest ever manager, Herbert Chapman, left them for Arsenal because Huddersfield were, er, a bit rubbish. Despite all this, a football match did also take place with Pierre-Emerick Aubameyang becoming the fastest Arsenal player to score 10 Premier League goals. In the end, Arsene was left telling the reporter that “with two or three additions this Arsenal team can win the league”. Good old Arsene, deluded to the end. But what a man. It’s being suggested that it is now a straight foot race between Max Allegri (expensive) and Mikael Arteta (cheap) to be the next Arsenal manager. The more cynical among you can probably guess which way Arsenal will go given those two options. Manchester City broke another record, clocking up 100 points with their 1-0 win over Southampton. Money spent or not, they’ve done alright this season. But can they do it again, next? They can’t be great until they’ve defended it, surely? If you believe the “attendance figure” at the Athletics Stadium, there will have been 55,000 people all wishing Big Sham Allarfarce would just go away from football forever. That’s the great thing about football, it brings people from all walks of life together. Both David Moyes and Allarfarce might be out of a job come the time the transfer window opens again but Moyseh will have at least gone out with a smile on his face, sticking three past his former club. There was a serious danger that John Motson’s final match as a commentator was going to end scoreless. That was, of course, until Wilf Zaha remembered that he needed to do something special if Palace were to beat West Brom. So he did, and Palace won 2-0. Burnley versus Bournemouth was being pitched as a battle of the two best young English managers in the game, mainly because there was nothing else to make it sound vaguely interesting. Burnley led, Bournemouth came back and won 2-1. Trust me, it wasn’t that interesting but two fantastic seasons for both clubs. And that was the 2017/18 Premier League season. A season where De Boer got sacked before the clocks changed. A season where Palace (mainly due to De Boer) didn’t score in their first nine games or something daft and managed to stay up thanks to Uncle Roy. A season where Alan Pardew claimed to be a psychologist as well as a manager and then proved to be neither. A season where Sham Allarfarce proved to be the least popular appointment at a club I have seen since David Moyes strolled into the Athletics Stadium. A season where Jose Mourinho has looked less and less interested in press conferences. A season where Peppy G has redefined football in the way that Arsene Wenger used to, possibly leading to Arsene Wenger deciding to implement #arseneout. A season where Mark Hughes nearly relegated both Stoke and Southampton. It’s been quite good fun, hasn’t it?